One of her clients said: "Instead of just pets, why not include Australian wildlife, ie; koalas, snakes (including sea snakes! ), goannas, quolls, frogs, wombats, crocodiles, emu's and many more that also can have very quirky personalities (so do some of the carers!!) Amber has worked with TV and comes across as a professional." Amber is an intelligent and well-respected veterinarian who is great in front of the camera. She offers a wealth of experience with native and exotic animals and is passionate about wildlife conservation. She would be an asset to Bondi Vet and I know would engage the viewers. Dr Amber would be a great asset to Bondi Vet. She has a natural way with the animals, the highest standards of professionalism and loads of experience in front of the camera. Amber's made for the camera!!! What a great video. What a wonderful role model, and we'd watch Bondi Vet with Amber Gillet! Amber would be an asset to Bondi Vet, she lives and breathes wildlife conservation, had such a wide range of knowledge and is a beautiful person! Would love to see more of a focus on wildlife on BV! Having seen her care for Koalas in their habitat, I know Amber is passionate about the care and protection of the Australian wildlife she loves. Knowledgable, personable and fun, she'd make a great new Bondi Vet! Amber would be a fantastic asset on Bondi Vet! 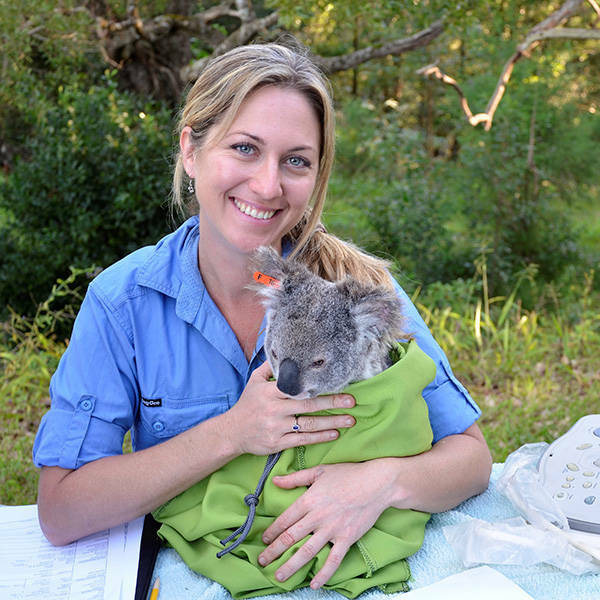 She is brilliant & is a highly skilled & exepericed wildlife vet. She would bring an amazing dimension to Bondi Vet. You'd be mad not to pick her!!! I first met Amber when she was a Vet student. I used to book her trips to various places around the world for her pracs. Always incredibly passionate about her role and the difference she could make, Amber is a great ambassador for the protection and care of all animals. I've had the pleasure of working with Amber on Rock-Wallaby surveys in North Queensland! She is an absolute gem! Passionate, knowledgeable and genuine! She'd be a perfect Bondi Vet and I would watch the show with great interest with her on the team! I've seen Amber with animals and can see that she is passionate, knowledgable and lives and breathes her work. She is a great presenter and would be a great Bondi Vet! I have known and worked with Dr Amber for many years. Her knowledge, expertise and surgical skills are second to none. Her engaging manner and on screen presence would make her the perfect choice for Bondi Vet.